Get your unique Rewards in The Sims 4 by registering The Sims 3 Expansions! The Sims is giving away rewards to dedicated players who own the base game and expansion packs from The Sims 3. These Plumbob lamps will affect your Sims emotions. When The Sims 4 launches September 2014 you can find your rewards in the Build Mode catalogue. 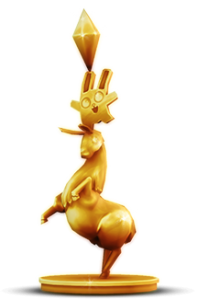 Your adventures in The Sims 3 have earned you the grandest of all reward statues: Llama, the Freezer Bunny, and Plumbob. Who could ask for more? Thanks for playing The Sims 3! Let this lamp light up your Sims' world in The Sims 4. You're well traveled! Bask in the glow of this dynamic lamp and celebrate your many adventures. Congratulations! This lamp was specially designed for Sims who love the night life. May your Sims be illuminated by this lamp for many generations to come. Only your love of animals could outshine this lamp. Your Sims bask in the glow of the spotlight. Bravo! May this mysterious lamp intrigue your Sims in The Sims 4. Commemorate seasons past with this lamp in The Sims 4. May your Sims’ educational hijinks shine forever in The Sims 4. This incandescent reward is a happy reminder of paradise. This light illuminates your past travels to the future. Success! You unlocked 13 of 13 rewards in The Sims™ 4! I’m so happy right now. So I will never get plumbob lamps in sims 4 because this is my first time ever playing a sims game? Unfortunately that is right at this time. when i buy all the DLCs and the Basegame on Origin… will this give me all the Lamps? For about 180 bucks you can have all the lights by purchasing each game…180 would be the total. 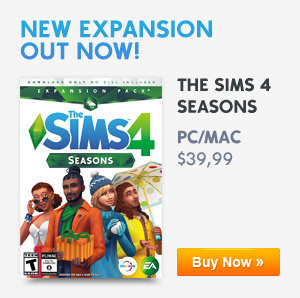 The Expansion packs is available through Origin but you will have to find the original Sims 3 game from someone like Amazon.com…. I’ve tried checking through all of my friends, nobody seems to have any unused ones. *Sigh* as if missing the collector’s edition wasnt enough. So how do I get my lamps. I have just switched recently from the Sims 3 (i have all registered on origin) to Sims 4. Loving it so far. Tried the link above but just came up as an error.